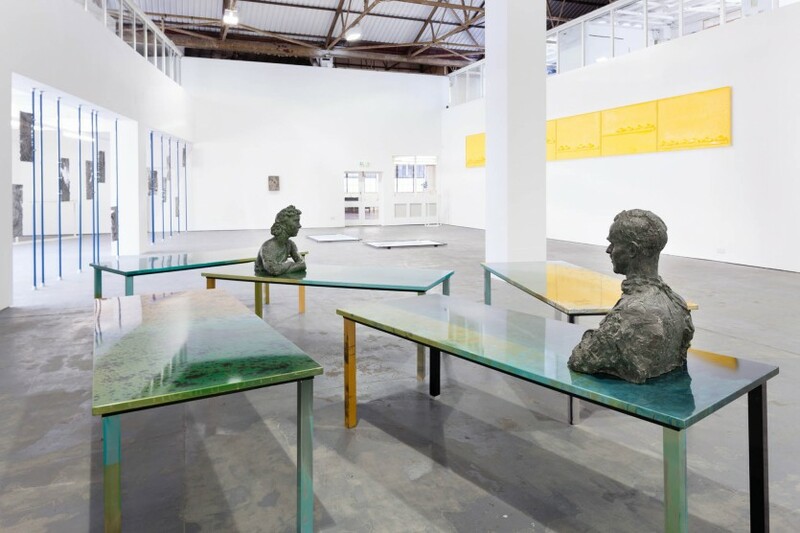 Crude Oil is an exhibition of new commissioned work by sculptor Nicolas Deshayes. 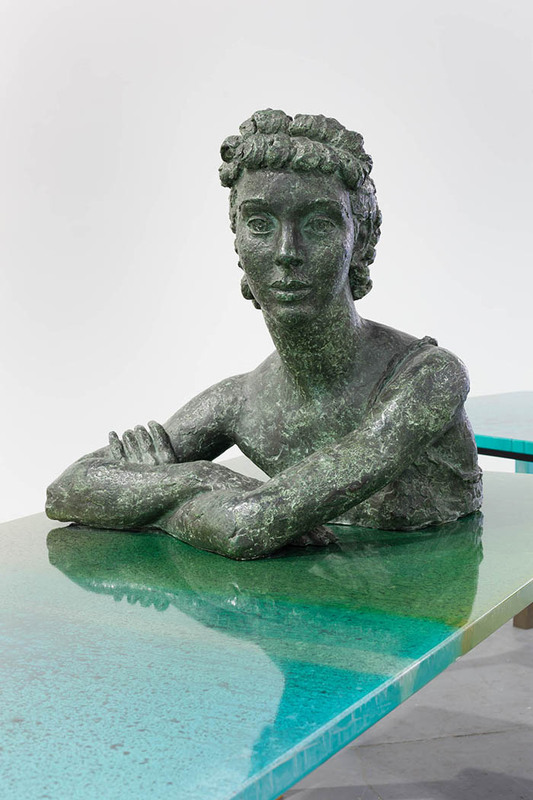 Presented alongside is a personal selection of historical works from the Leeds Museums and Galleries sculpture collection including works by Hermon Cawthra, Geoffrey Clarke, Frank Dobson, Jacob Epstein, John Farnham, George Frampton and Henry Moore. 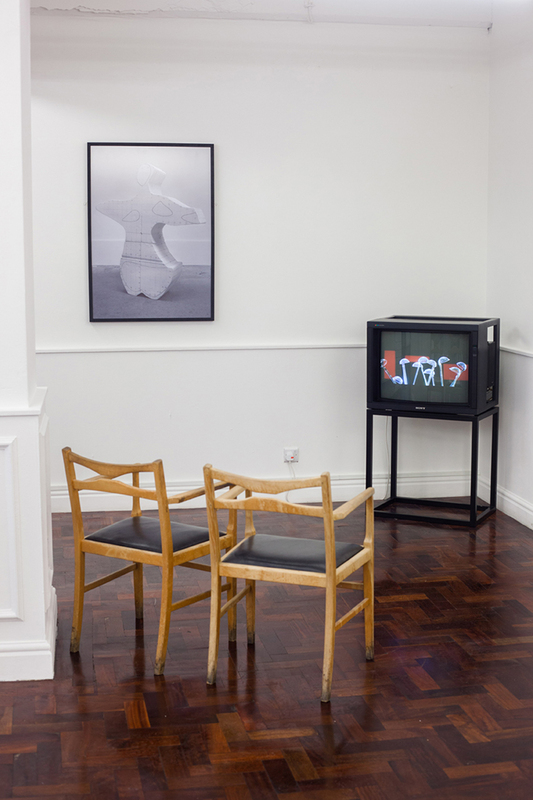 In 2012 Nicolas Deshayes was commissioned to develop a new series of works following a period of research at the Henry Moore Institute Archive and Leeds Museums and Galleries sculpture collection. The exhibition Crude Oil brings together a selection of sculpture from the late 19th and 20th century that has influenced the development of Deshayes’ new work. It also marks the first occasion that S1 Artspace has presented a number of historical works as part of its exhibitions programme. Drawn to materials due to their synthetic connotations Deshayes selects processes that exist in the manufacturing world for the purpose of prototyping, packaging and reproduction. From these he creates and moulds organic forms and surfaces which relate directly to the natural world and more specifically the human body. 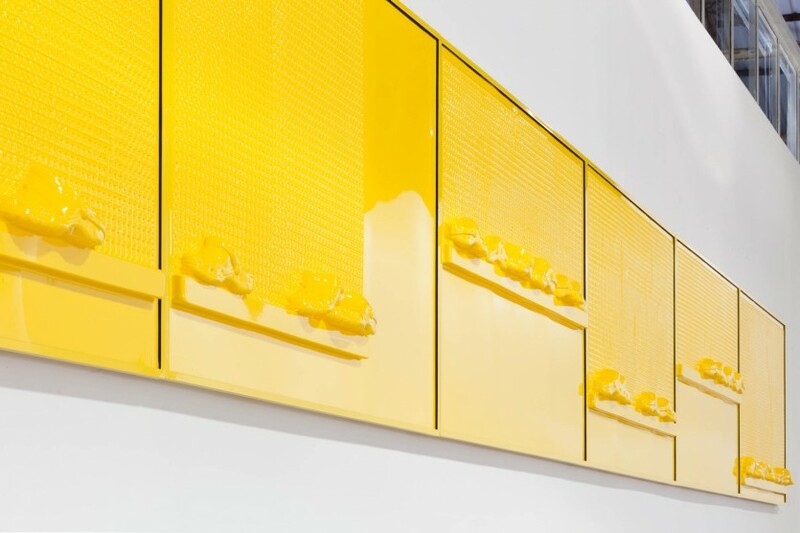 The exhibition Crude Oil includes five new works each displaying a form of repetition or pattern; a reference to the mechanical reproduction processes adopted by manufacturers across the world. Although Deshayes does not commonly represent the body in a figurative manner – the historical works he’s selected occupy this role and act as protagonists throughout the exhibition – the new works each suggest a relationship to the viewer’s body through subtle choices the artist has made about height, position and arrangement. The title of the exhibition Crude Oil refers to the direct source of materials used in Deshayes’ practice – a fossil fuel created naturally from decaying plants and animals living in ancient seas millions of years ago. Through the oil refining process liquid styrene is formed – the base material for most plastics and polystyrene – a non-biodegradable substance at odds with its organic origins. 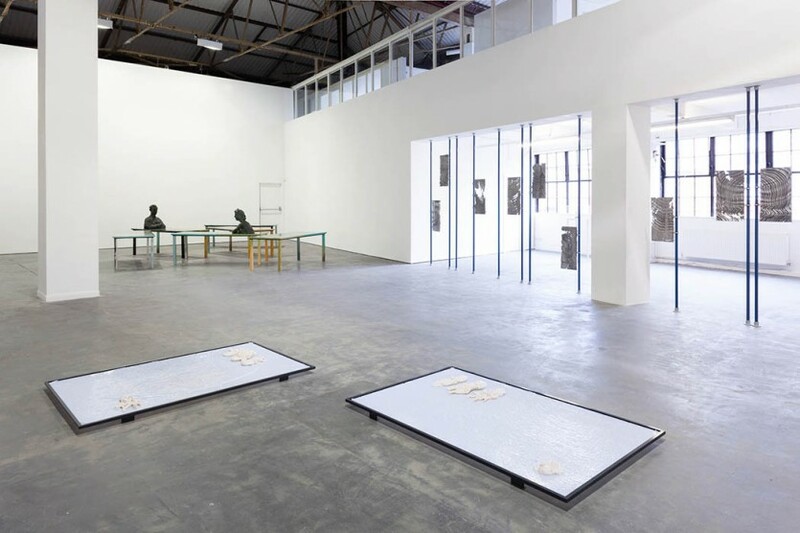 Across the gallery connections are drawn between natural occurrences and seemingly un-natural conclusions. A common thread running throughout all works in the exhibition is a sense of emergence. Objects, characters and patterns appear to break through malleable skin-like surfaces. Backgrounds and foregrounds fuse, objects emerge from solid matter and figures appear from ghostly backgrounds and tabletops. 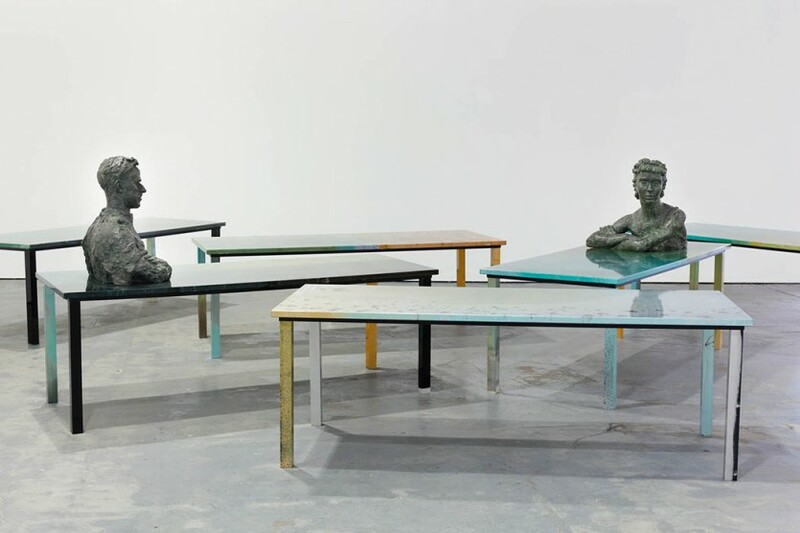 An arrangement of anodised aluminium tables plays host to two distinctive bronze busts; Jacob Epstein’s Bust of George Black (1942) and Frank Dobson’s Bust of Margaret Rawlings (1936). The textured green and black surface of these patinated busts share physical resemblances to the victims caught in Mount Vesuvius’ deadly eruption of volcanic ash as well as rescued birds and sea life following an oil spill disaster. 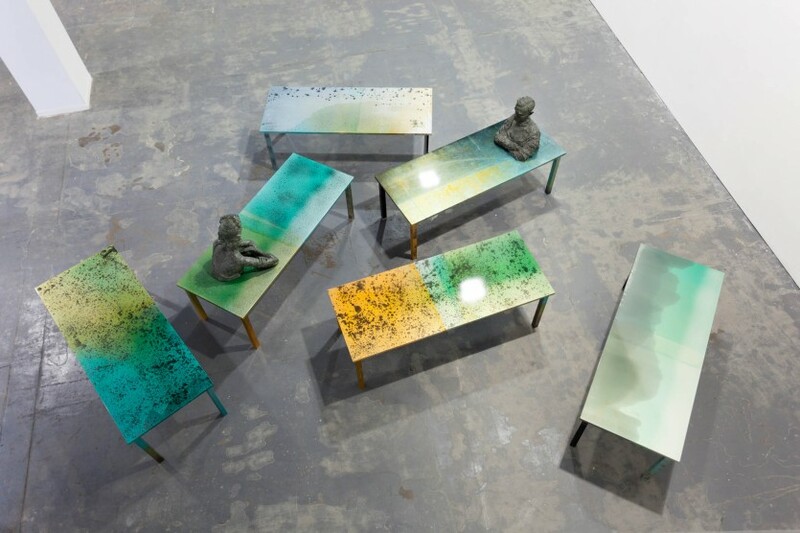 The iridescent surface of the anodised tabletops is heightened by a glossy lacquer that mirrors these figures in its surface as if adrift at sea. References to the ocean can also be seen in Hermon Cawthra’s stone-carved Architectural Panel: Beach Scene (c.1910). This simple scene of two individuals playing at the beach acts as a subtle reminder of the land and sea, the source of most crude oil. The figures fluidic hair and surface of the sea are carved in the same repeating motif of waves and curves; a pattern recognisable in Deshayes’ new cast aluminium reliefs that hang from a sequence of vertical poles dividing the exhibition space. The undulating surface of these ‘organic’ forms makes reference to both the simulated nature of computer modelling software and the natural shifts that occur in the seabed’s surface. 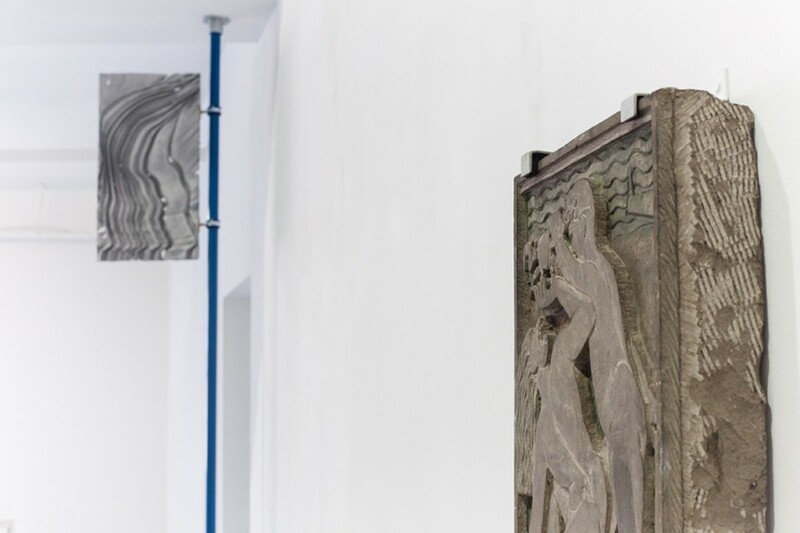 Close by is a series of plaster maquettes by Geoffrey Clarke for the Extraction and Refining of Oil (1956) – a vast aluminium mural in 131 parts commissioned by Castrol for its London head quarters, which tells the story of how oil is developed. The finished mural was produced using a sand casting process that Deshayes adopted to create his own aluminium reliefs. Displayed as a fragmented linear arrangement across the vertical poles, they also suggest a narrative to be read. Akin to Cawthra’s Beach Scene (c.1910) George Frampton’s St. Cristina (1889-93) shares a similar surface or ‘skin’ to several of Deshayes’ new vacuum-formed works, including a floor-based arrangement of opalescent octopi reliefs – an amorphous sea creature that releases its own black substance – creating parallels with the seabed’s release of crude oil. The fossil like nature of these captured creatures and materials can also be likened to Henry Moore’s anthropomorphic flintstone reliefs in Maquettes for a sculpture at the English Electric Company Headquarters on the Strand, London (1954). 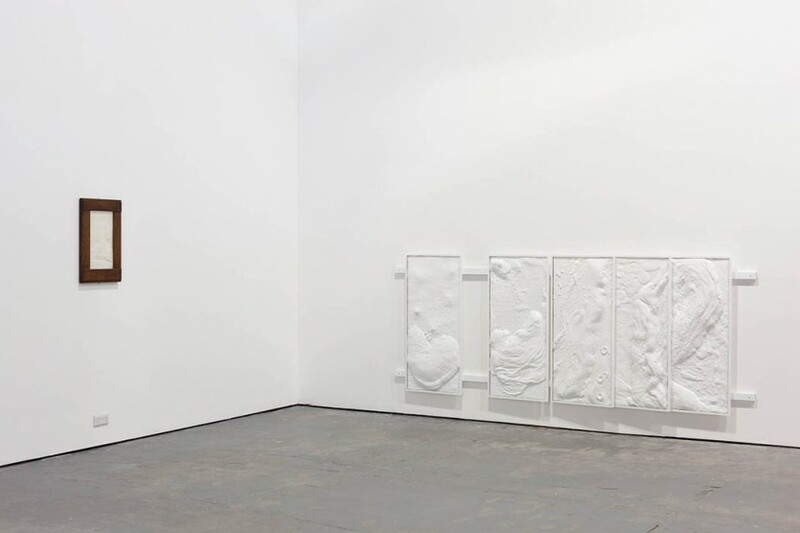 A large-scale frieze composed of vacuum-formed panels suggests a capturing of modern life or moment in time. 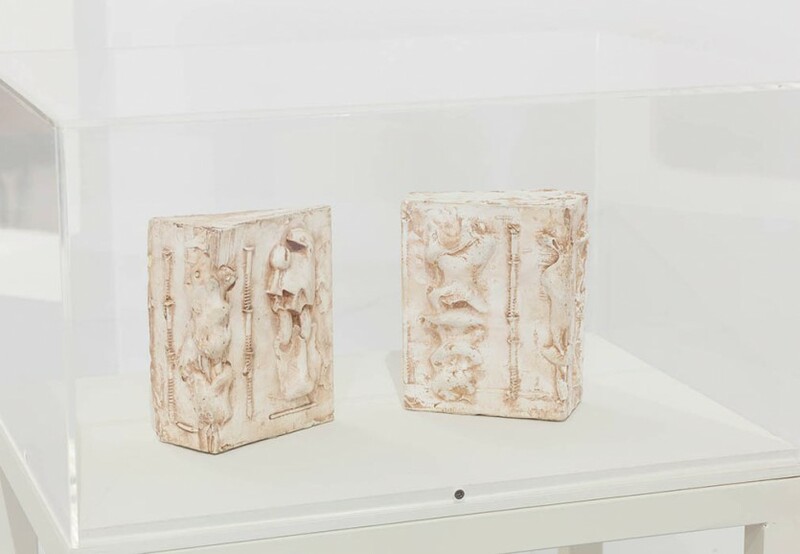 Inspired by the sculptor Gilbert Bayes whilst researching the archives, his remarkable frieze, Pottery through the Ages (1939) – on permanent display at the V&A Museum – depicts the various stages of ceramic production. Referencing the repetition of feet within numerous works of this nature, Deshayes calls upon a more modern industrial foot, the ubiquitous plastic moulded shoe branded Crocs. The ultimate chefs’ shoe, Crocs bring with them associations of the sea, industry and hygiene. The epitome of industrial reproduction, these particular Crocs – fakes purchased from a value shoe shop – reveal their imperfections and mass-produced origins. Through a confrontation of the supposedly natural and un-natural Deshayes distorts our sense and recognition of the everyday. By operating at the transitional state between liquid and solid – the moment where one state slips from one category to another – his work provokes questions about our response to images and material that can rapidly transform from seduction to repulsion. The glossy aesthetic demanded of the 21st century through publishing, design, beauty and consumption has squeezed the gap between these two states so tightly it has now become hard to distinguish one from the other. ACKNOWLEDGEMENTS: S1 Artspace and the artist would like to thank Sophie Raikes, Lisa Le Feuvre, Claire Mayoh and Jackie Howson (Henry Moore Institute, Leeds), Rebecca Herman and Jen Kaines (Leeds Museums and Galleries), Jonathan Viner and Emma Astner (Jonathan Viner Gallery), Leighton Carr, Judith Le Grove, David Scarborough and Paul Louis for their support and advice. The exhibition Crude Oil by Nicolas Deshayes has been generously supported by The Fluxus Fund, The Elephant Trust and Arts Council England’s Grants for the Arts programme. NICOLAS DESHAYES: Born in France (1983) he graduated from the MA Sculpture programme at the Royal College of Art in 2009 and the BA Fine Art course at Chelsea College of Art and Design in 2005. He currently lives and works in London. 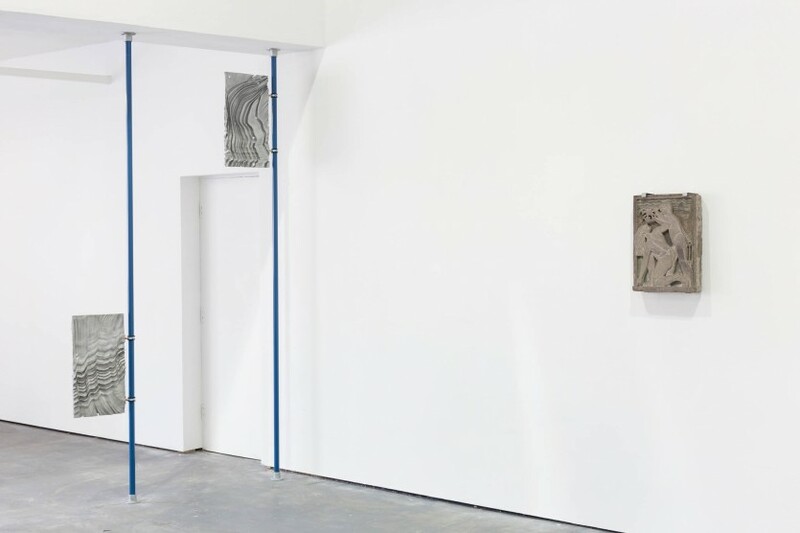 Recent solo and two person exhibitions include Snails, Brand New Gallery, Milan, 2013; Browns in Full Colour, Jonathan Viner, London, 2012; Vanille with George Henry Longly, Galerie Valentin, Paris, 2012; Precursor, E:vent Gallery, London, 2011 and A Killer Whale Breaching in Soft Focus with Ed Atkins, Transmission Gallery, Glasgow. 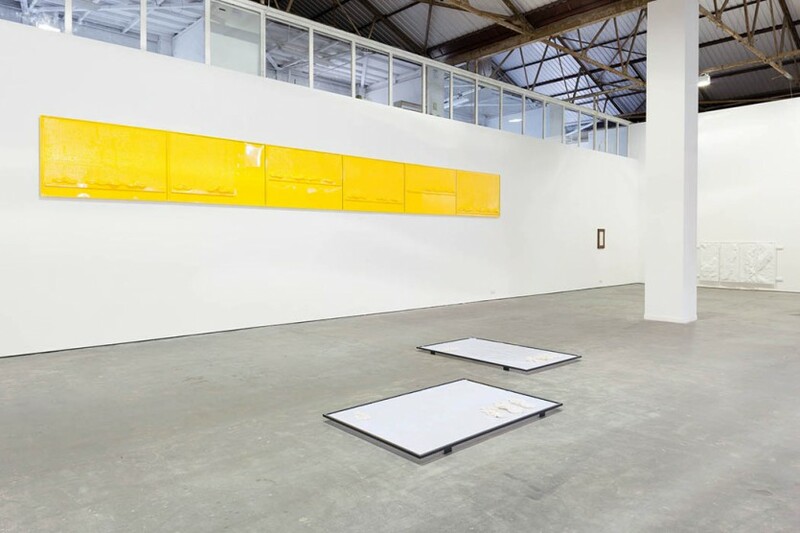 In 2013 he was featured in group exhibitions at Carl Freedman Gallery, London; David Roberts Art Foundation, London; Marianne Boesky Gallery, New York; James Fuentes, New York; Saatchi Gallery, London; Shanaynay, Paris; The Collection, Lincoln and Wysing Arts Centre, Cambridge. In late August and September he will be included in exhibitions at Centre for Contemporary Art Ujazdowski Castle, Warsaw, Galerie Opdhal, Stavanger and The Approach, London.